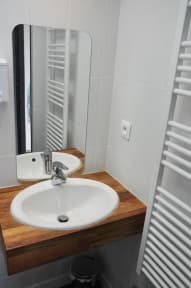 The Hostel 20 Bordeaux is a friendly and cosy hostel ideally located in the city center of Bordeaux. The hostel is set in a 18th building. The hostel offers private and shared rooms. Free Wi-Fi is available throughout the property. Guests have access to a simple kitchen with refrigerator and microwave. The property is tastefully decorated. Check-in possible only from 11 am to 11 pm. 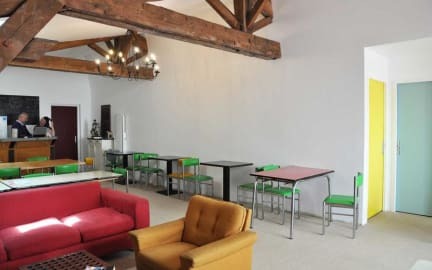 The Hostel 20 Bordeaux is located in Chartrons, this hostel is within a 10-minute walk of Bordeaux Wine and Trade Museum and Contemporary Art Museum. Place des Quinconces and Maison du Vin de Bordeaux are also within 2 km. The location is perfect for those who want to discover the richness of the city. The property offers a dorm and a private room. Rooms have shared bathroom. For your comfort, all rooms are cleaned every day between 11 am and 4 pm. Check-in time from 4 pm to 11 pm. Taxes not included - Local occupancy tax 0.80 euros per person per night. Breakfast not included. Extra-cost: 2 euros per person per day. Check-in time possible until 11 pm. We do not accept online group bookings of 6+ guests, you must contact us directly before making the booking. Absolutely 10/10 hostel! Extremely sociable, and very easy to make friends! All of the extras the hostel sells (food, laundry, etc.) Are competitively priced. Facilities are well maintained, and staff is very friendly. I recommend their family style dinners, good value, and a great way to meet new people. We had an incredible time staying at Hostel 20. The staff was incredibly helpful and accommodating. We arrived too early by mistake after an overnight bus ride (be aware that check in is at 2pm), and staff let us relax in the lounge and got us checked into the first room available. We were so grateful! The location is perfect, a beautiful neighborhood right next to bike rentals and a public transport stop. I’d recommend this hostel to anyone looking for a safe and kind place to stay. Very nice hostel in Bordeaux. I'd go again for sure. Good place, pleasant atmosphere, friendly and helpful staff. A bit of a walk to get to the city center. The staff were wonderful, very helpful and chatty and made me feel at home. The rooms, sheets and communal spaces were clean, the shower was always warm and the beds were comfortable so really that's what I look for most! The only thing that bothered me were the locks on the lockers in the rooms - they were broken so I didn't use them where I would have liked to. But I stayed for four days and that's my only complaint so I would still recommend them. Nice for a short stay! I found it a tiny bit noisy but that’s not the hostels fault. Very nice people and clean space. These guys have a great atmosphere in their shared space, and I loved having the option to rent a bike for the day. The beds are also single beds instead of bunks, so it feels more like home than what you normally get in a hostel. One of the worst hostels. I pay the deposit on Hostel World, and choose to pay the rest on arrival. They take the money before I arrive yet ask me to pay, upon arrival. They refused to acknowledge the payment (despite showing them the transaction in the bank app & deny it was theirs), & make me pay again. They promise the 2nd payment will disappear, it obviously doesn't & I have to bring up a case with my bank, who kindly return the duplicate payment. Rude/incompetent staff dealing with this.